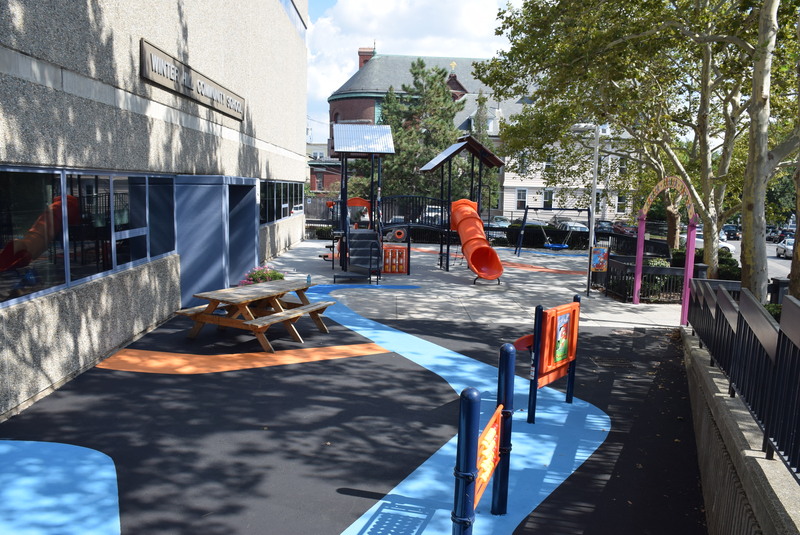 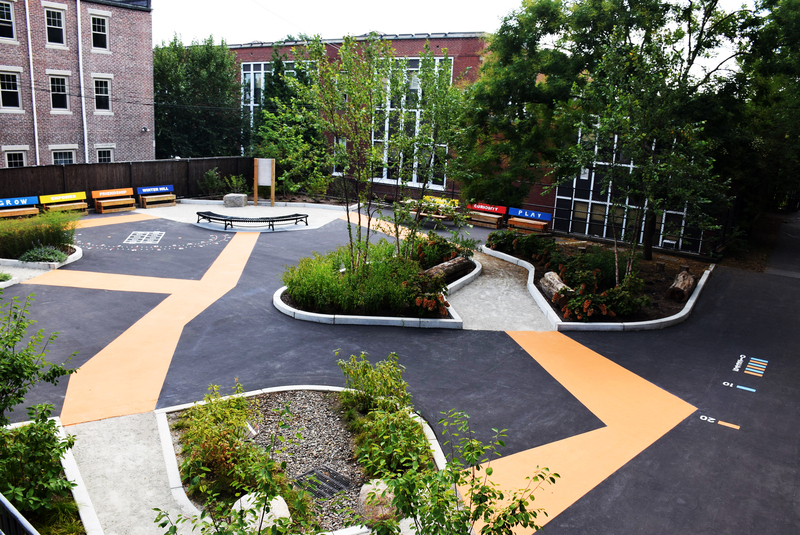 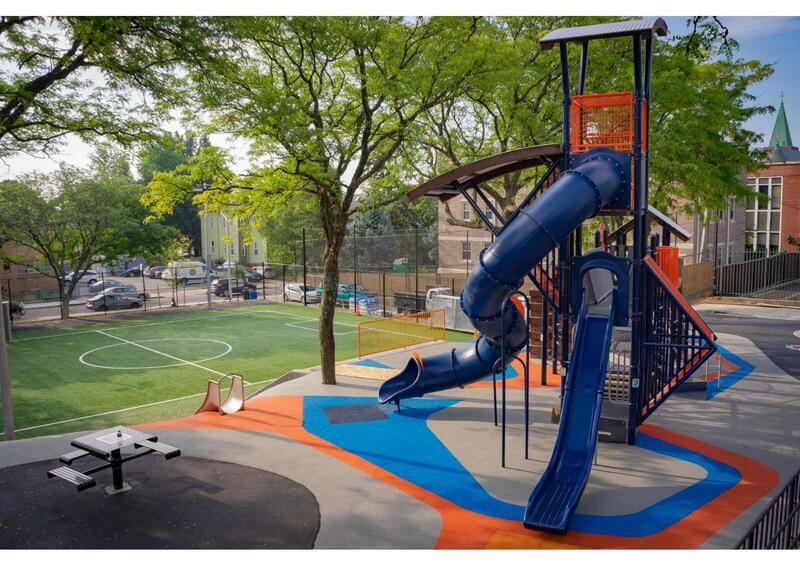 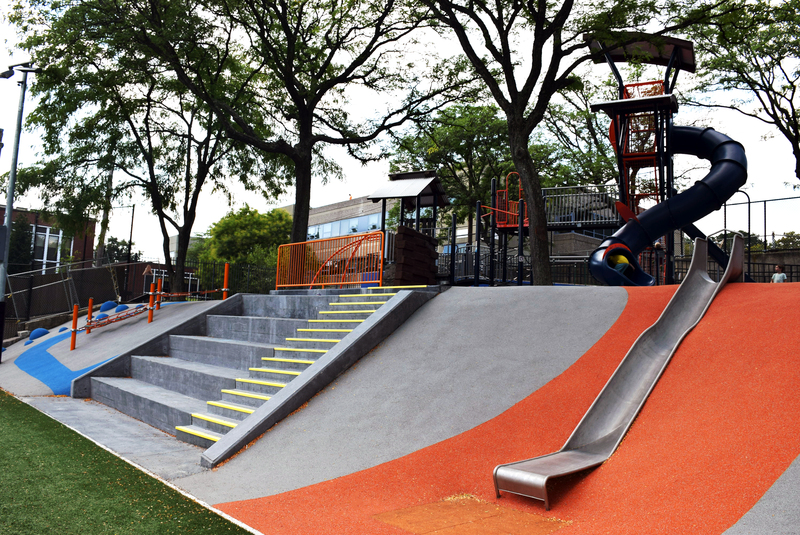 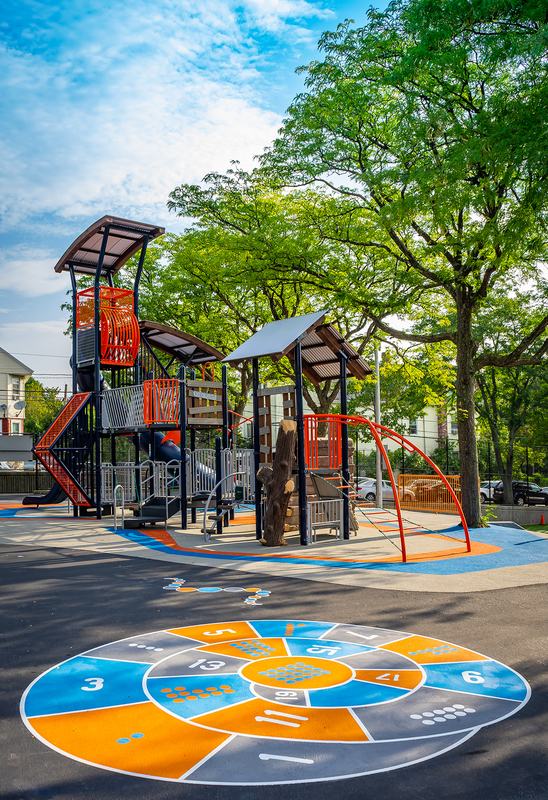 After two years of design and construction, the refreshed schoolyard at Winter Hill Community Innovation School in Somerville is nearly complete. 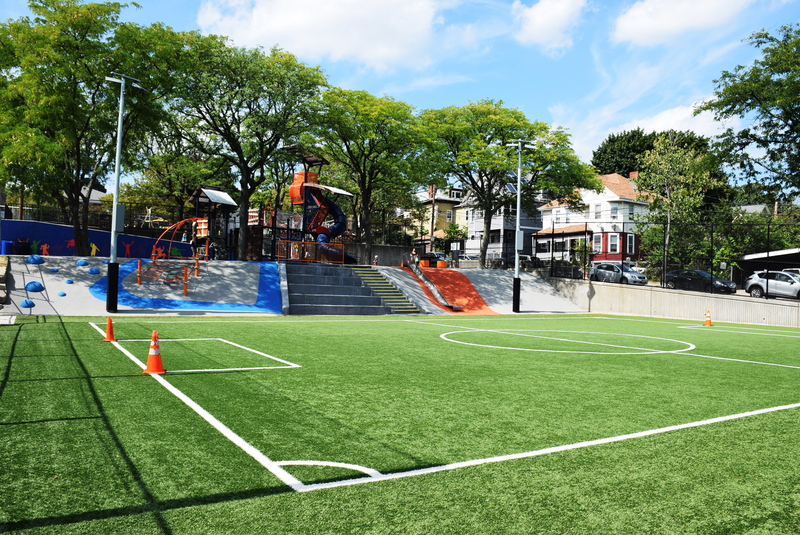 The new design includes a U-8 synthetic turf field with sports lighting and spectator seating, exciting new play structures, and an outdoor classroom. 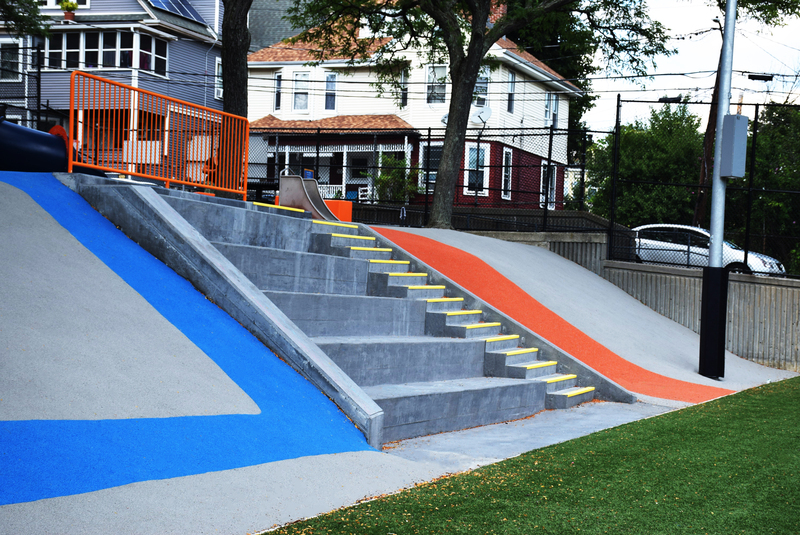 We are very excited to have worked on this project with the School community and the City of Somerville!